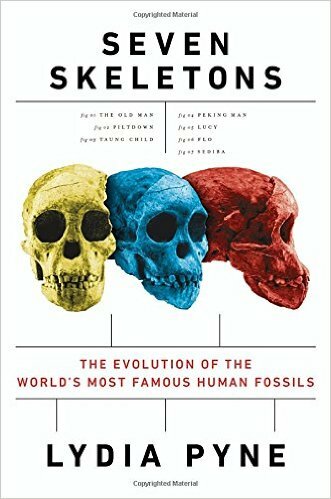 Richard Harris, professor emeritus of psychological sciences at K- State notes, "This is the story, written for the general public, about the discovery of seven major fossil finds in the history of human and hominid evolution, with particular focus on the social and historical matrix and impact of these discoveries." Author Lydia Pine has degrees in anthropology and history and a doctorate in the history and philosophy of science from Arizona State University. 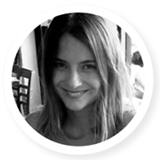 She has participated in field work around the world and brings a unique perspective to this topic. Although she presents the necessary specific facts about each fossil, the emphasis is on the cultural context of the findings and the sociopolitical aspects of the discovery in the years and decades after the original discovery. The skeletons, each with its own chapter, include “The Old Man of La Chapelle”- 1908 (Homo neanderthalensis), Piltdown Man - 1912 (shown after 40 years to be a fraud), the Taung Child - 1924 (Australopithecus africanus), Peking Man - 1921 (Homo erectus), Lucy (Australopithecus afarensis) - 1974, Flo (Homo floresiensis) - 2003, and Sediba (Australopithecus sediba) - 2008. Each of these became to varying degrees “celebrity fossils,” with wide public interest and sociopolitical as well as scientific, importance. In some cases, the fossils contributed to nationalist stirrings in a nation. For example, the Taung child, discovered in 1924, was the first to establish South Africa as a major player in the early hominid archaeology, in a time when most known hominid discoveries were in Europe. Peking Man put China on the map for such endeavors, as Flo (“the hobbit”) did for Indonesia. Perhaps the greatest national benefit came to Ethiopia after the discovery of Lucy the Afar region in 1974. In all of these cases, especially eastern and southern Africa, these famous discoveries led to intensive further investigations and the discovery of numerous future fossils of profound importance, even if less celebrity. Sometimes completely unrelated events helped enhance the publicity about one of these skeletal finds. The fact that the small hominid Flo was discovered on Flores Island in eastern Indonesia about the time that the last of “The Lord of the Rings” movies appeared in the early 2000s led to the species being nicknamed “the hobbit,” a label which generated considerably more interest in her than would have otherwise been the case. Lucy was named after the Beatles’ song “Lucy in the Sky with Diamonds,” which was playing at the dig site when she was discovered. Neanderthal was named after the initial specimen’s founding German location in the Neander Valley (“Neanderthal” in German). “Sediba” means “a natural spring” in Sesotho, the southern African language spoken around where it was found. Josh Felix, Director of Operations at mLevel reports, In today’s technology driven world, information is available at the touch of a button, or even a voice command. Whatever the subject, all it takes is a quick Google search and learners are faced with a deluge of information." This amount of information, while useful in many ways, also presents a unique and rather complex challenge: information overload. Combined with limited human capacity to process so much info, this information overload results in skills or knowledge gaps for learners. This problem exists as much in the formal learning system as it does in professional or workplace training. To combat this problem, experts in the field of education and training have been turning to microlearning. The concept is based on research on how the human brain retains information and how it is wired to learn. 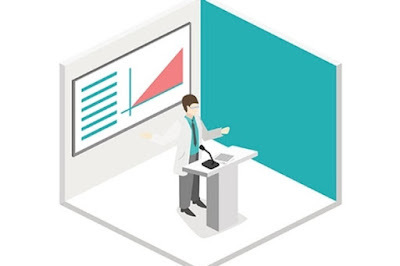 By providing information only in bite-sized, easy to process chunks, microlearning helps bridge and fill gaps in learning, whether such learning is carried out in an informal, self-directed manner or a planned collection of brief learning experiences with an aim to meet an extended goal. Learning is usually delivered in a variety of engaging and easily manageable short-term activities and presentations. For example, a learner may choose to learn from a short video hosted on You-Tube, showing how to create a pivot table in Excel, or he or she may subscribe to a series of short informative emails, or even better play a game! 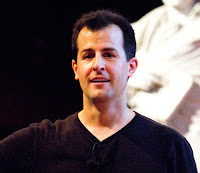 "Here are three essential lessons in effective teaching from David Malan’s enormously popular CS50 course." summarizes eSchool News. Harvard professor David Malan has managed to pull off a neat trick: His Computer Science 50 course is the most popular course at both Harvard and Yale. By examining his success, we can learn some important lessons about effective teaching. CS50 assumes no prior knowledge or skill in computer programming, yet it’s extremely demanding. Despite its rigor, CS50 regularly attracts thousands of students each year. While some aspire to become software engineers, others enroll just to experience the course. Why is Professor Malan’s course so popular, even with students who don’t plan a career in computer science—and even though it requires a lot of work? Here are three keys to Malan’s effective teaching that I think all schools everywhere should apply, from K-12 schools to colleges and universities. Strengthen the social side of learning. Provide a public audience to inspire students to invent. Imagine teaching a course with 800+ students at Harvard and another 400+ students at Yale with an extremely high level of rigor and creativity. The course is available for credit at either university, and anyone around the world can take a noncredit version at no cost through the open courseware platform edX. My son, Dan, took the course. When he first signed up for CS50, it is fair to say he was not in the habit of choosing the most demanding courses on campus. But Dr. Malan’s unique learning culture and sense of responsibility placed on the students helped Dan to discover a passion for “learning how to learn” and thinking about design—skills he can apply to manage his learning in any situation, from other courses to his professional growth. Two years later, he is still on fire—and he will graduate in May to pursue a career in computer science. I was so intrigued by the impact CS50 had on my son that I started to explore Malan’s keys to effective teaching that we can export to any educational setting. After many conversations with Professor Malan and Dan, I have identified at least three processes that we can apply across the curriculum at all grade levels. 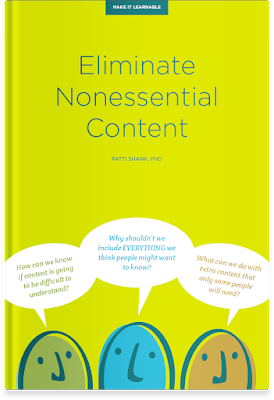 Take a closer peek at this complimentary eBook, Eliminate Nonessential Content below. 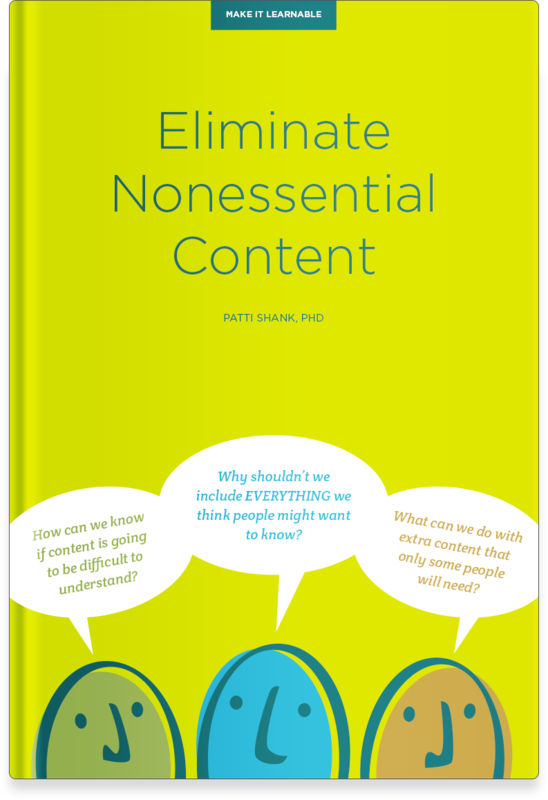 In this eBook by Patti Shank, PhD, we concentrate on five critical tactics to remove unnecessary words and content in order to make it content more learnable. 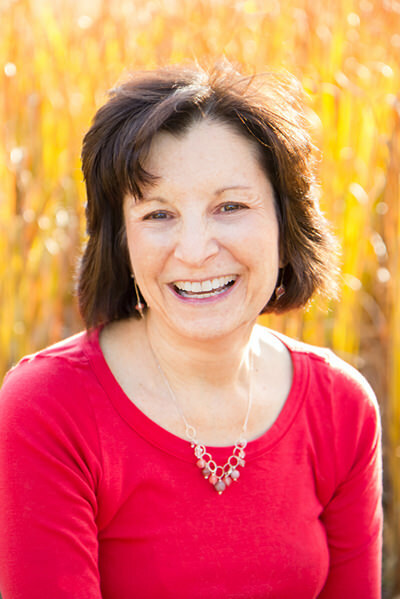 Patti Shank, PhD writes in the eBook, "The Make it Learnable series shows you how to apply key learning, writing, and information design principles to remove needless obstacles to learning and help people learn, retain, and apply needed information. This overview describes important points about the series, including the roadmap that the series follows." Research shows that experts typically forget how hard it is to learn their area of expertise and may make incorrect assumptions about how to teach people about the topic. Many people who write instructional materials may not understand how adults learn, adding difficulty into the content. The Make it Learnable series follows a roadmap of how adults learn deeply (rather than simply recalling facts) so that they can apply what they have learned to real life situations and solve real life problems. 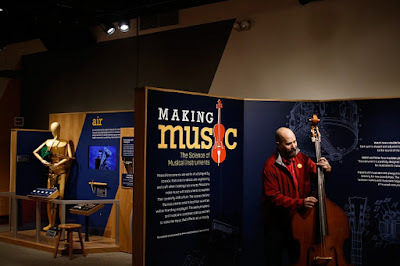 "A stone’s throw from the Montshire Museum of Science’s familiar exhibits of honey bees and leafcutter ants, a girl of 10 or so drew a bow across the strings of a double bass on Monday afternoon, bouncing deep notes around the second floor." notes David Corriveau, Valley News Staff Writer. While at the museum with his daughter, Daisy, 11, Craig Bee of Quechee, Vt., jams on the double bass at the Montshire Museum’s new exhibit, “Making Music,” in Norwich, Vt., on Jan. 24, 2017. In the middle of the room, a toddler standing on a bench pounded the keys of an upright Kohler & Campbell piano with his fingers and, through a plexiglass window, watched the attached hammers strike the corresponding strings. And in another corner of the 2,500-square-foot space, I wagged my 60-year-old right hand around the upright antenna of a theremin — an early electronic instrument played not by touching keys, but by hovering hands near sensors — while adjusting the volume of the instrument’s ghostly WAOs, WOOs, WHOAs and WHEEs by moving my left hand over a horizontal-loop antenna at the other end of the device. Welcome to “Making Music: The Science of Musical Instruments.” The new exhibit, which museum staff curated and assembled with help from musicians and instrument makers, many of them from the Twin States, is intended to pull instruments apart for inspection and give visitors a hands-on experience. It opened in November and will run through mid-September. 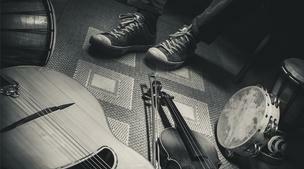 In all, you can play 14 instruments, divided among the categories of Air, Strings, Percussion and Electronic. They include an accordion, a modular synthesizer, a guitar and drums — among them a West African djembe made by performer-teacher Sayon Camara and a metal one that Burlington craftsman Tim Danyliw fashioned from a propane tank. You can see another 20 instruments on display, some with accompanying videos by makers and players. They range from an Indian sitar and a harp in the String section to two saxophones — one fully assembled, one dismantled into dozens of pieces — and a flute that Bridgewater craftsman Kai Mayberger made for the Air section at the invitation of exhibits assistant Sherlock Terry. Want to learn an instrument? Tech can help. 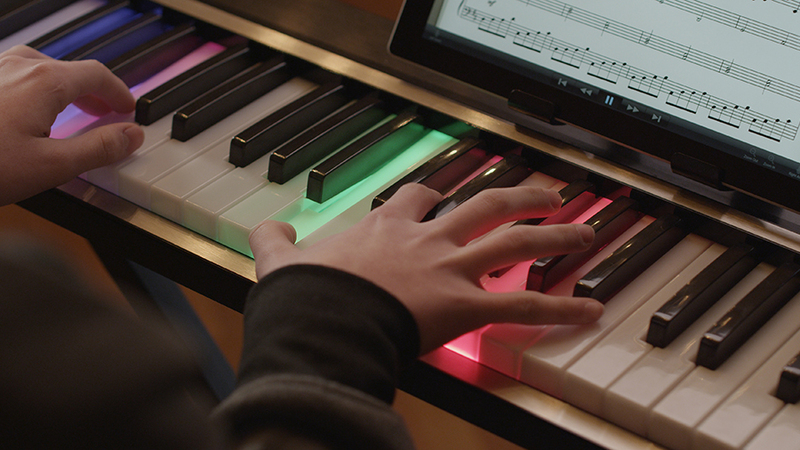 Forget about booking those expensive music lessons - all you need is the right gadget and a computer to plug it into." summarizes David Nield. 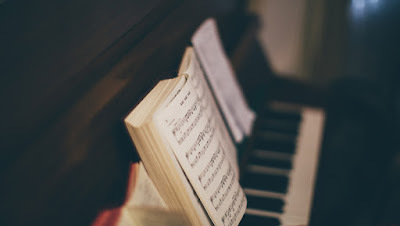 Learning to play a musical instrument is a lofty ambition that many of us harbour but few of us get around to doing anything about - either we don't have time to learn, or we don't have money for lessons, or we're just not as inspired to start playing as we first thought. Wouldn't it be great if there were gadgets around to make the process cheaper and easier? Well, there are - quite a few of them in fact. Connect these guitars, keyboards and other instruments to your computer or smartphone and you can get started in minutes. This is a full sized, fully featured piano (or keyboard), but with some extra tech smarts that make it easier to learn how to tinkle the ivories with the help of some smartphone software. Once you or the tutorial apps have decided what you're going to play, you get guided to the right notes at your own pace. While it's not the cheapest option out there, it's worth the extra cash, with its quality materials, strong app support, and accessible learning curve. The piano can read sheet music or MP3 files for you as well, and can even double up as the speakers for your home entertainment system. "Skot Wiedmann creates music on a synthesizer that is only slightly larger than a sandwich and that took him just a couple of hours to build. He can experiment with sound by using his fingers to press on the surface to create chords and move up and down octaves." 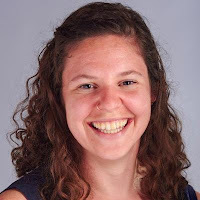 inform Jodi Heckel, arts and humanities editor, University of Illinois News Bureau. 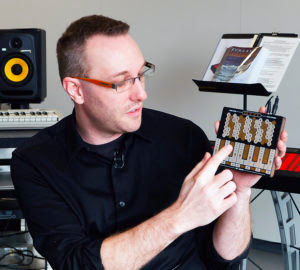 Skot Wiedmann, an electronics technician and art instructor at the University of Illinois, talks about the Hyve Touch Synthesizer he built. Wiedmann – an electronics technician in the Department of Electrical and Computer Engineering and an instructor in the School of Art and Design – designed and built his Hyve Touch Synthesizer. “It was a way of trying to inspire some interdisciplinary ideas to happen on campus, for engineers to meet musicians and to talk about the commonalities and the ways this project could inspire learning across those boundaries,” Wiedmann said. The synthesizer resembles a keyboard along the bottom and has a grid of hexagons along the top. The keyboard is an octave wide, but someone playing it can change octaves by moving vertically up the keyboard. The grid of hexagons connects notes in harmonic chords, based on a system developed by the 18th century Swiss mathematician Leonhard Euler to geometrically represent tonal intervals. Moving up from one hexagon to the one above it creates a perfect fifth chord. Moving up and to the right creates a major third chord. Pressing on those three connecting keys at once produces a triad. Moving up and to the left creates a minor third chord. Pressing harder or softer allows a player to produce a louder or softer sound, and moving left or right on the instrument provides a stereo effect, producing more sounds in one direction or the other. “When people hear the sound and move their fingers, there is natural learning that happens and they start to explore, they start to experiment. I’ve found that people who take the synthesizer home and really get interested in playing it are really exploring something in a different way than the other instruments they play. They are not trying to adapt piano technique or violin technique to this instrument,” Wiedmann said. Wiedmann said he is building on the campus’s “brilliant history in electronic music” that goes back to John Bardeen’s invention of the transistor. Wiedmann said Bardeen made the first transistorized synthesizer as a way of demonstrating what a transistor is and how it works. 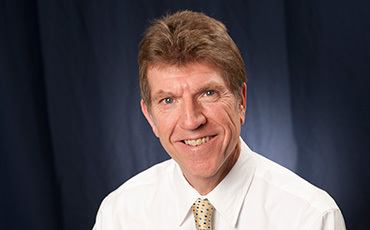 The campus’s history of electronic music includes James Beauchamp, an electrical and computer engineering professor who was involved with the U. of I.’s Experimental Music Studio and who in the early 1960s invented a synthesizer that he called the harmonic tone generator. 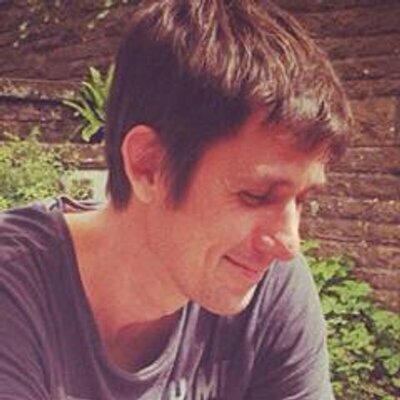 Wiedmann was influenced by Lippold Haken, an instructor in electrical and computer engineering who invented a musical instrument called the continuum fingerboard. "2017 has just arrived, which usually means one thing: it's time to compile a brand new list of New Year’s resolutions! Learning a new instrument should be on top of every music lover’s list, but unfortunately, a lot of people lose steam far too quickly and forget about it midway through January." continues Mundt Music. Sure, you can just borrow a guitar from a friend or just play the piano at your cousin’s house, but you’re most likely to stick to your goal when you make a big investment. After all, it would be a shame to just leave your violin untouched on your shelf after spending so much money on it. Plus, it is easier to practice anytime if you have your instrument within arm’s reach all the time. Want a bit of a shortcut? Taking lessons with a good teacher will help you achieve your new year’s resolution much faster and more efficiently. You can save a lot of time when there is someone who points out your mistakes and provides feedback on your progress. If you don’t have the money to hire a music teacher, you can trade lessons with a friend who knows about the instrument you’re learning in exchange for lessons on your primary instrument. It’s a win-win situation for both of you. This article is courtesy of the Galvanize blog. Interested in entrepreneurship, web development, or data science? Check out the Galvanized Newsletter, bringing you the best content from The Learning Community for Technology. "In the summer of 2010, Bryan Brophy was lying on his bunk in the back of a tour bus parked in Baton Rouge, Louisiana, on the phone with his wife who was home in Nashville. As they talked that night, Brophy, had this feeling that a career as a musician might not be the future he was after." according to Lauren Lark, as a community coordinator at Galvanize, she is energized by people. Lauren is passionate about education. Although traveling to perform night after night had its thrills, living out of a suitcase and waking up in an endless string of hotel rooms had become more stressful than fulfilling. Brophy and his wife decided that when he got home, they were going to pack their belongings and head west to Seattle in search of a new life. A combination of family ties, artistic culture, and a budding tech industry led them to the Emerald City. Brophy picked up a barista job to pay the bills while he researched his next move. Shortly thereafter, he landed a temporary gig as an apprentice in the electrical union, which sparked a passion for math. 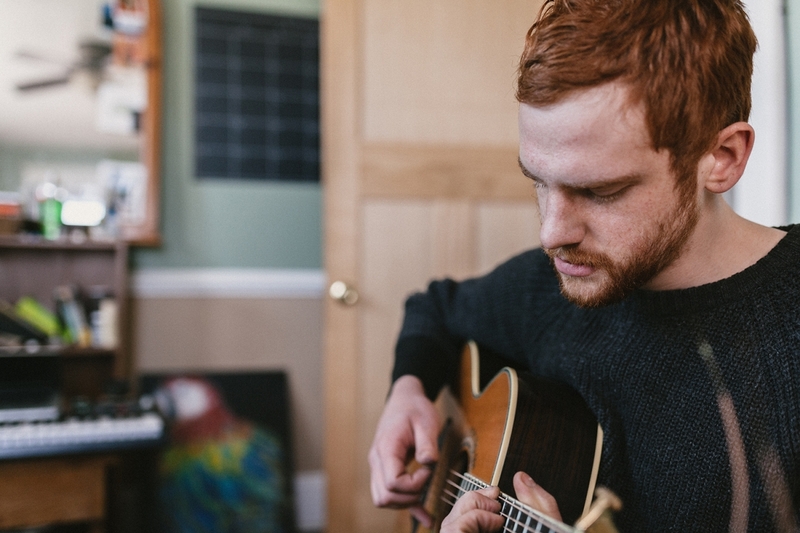 While most kids were learning about STEM in high school, Brophy was skipping class to play music. Eventually, he found that he was fascinated by electrical circuits, algebra, and trigonometry. Brophy started to think that he might actually make a decent math teacher. He was energized by the thought of trying to inspire other kids who were uninterested in solving complex equations in high school. “I thought it would be powerful if I could share my story with students,” Brophy says. The problem was, he had dropped out of high school to pursue music; if he wanted to teach, he’d have to go back to school. 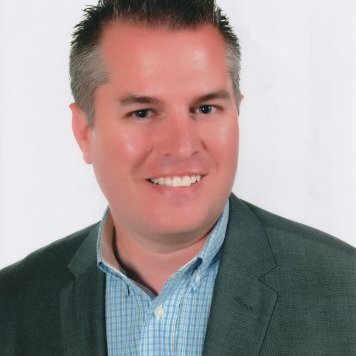 Brophy and his wife had since had their first child and had to work full-time in the restaurant industry and enrolled in a full load of night classes at a local community college. A few years in, however, he’d become frustrated by the lack of time he had to spend with his wife and young daughter—and he was still years away from earning his degree. At this point in early 2016, the technology boom occurring in Silicon Valley had spread to cities like Austin, Denver, and Seattle. Brophy had a couple friends who were software developers and, in talking with them, realized that his newfound interest in math might also apply to coding. Fiona MacDonald (Director of Content), award-winning journalist and digital convert reports, "Perpetual motion without energy." For months now, there's been speculation that researchers might have finally created time crystals - strange crystals that have an atomic structure that repeats not just in space, but in time, putting them in perpetual motion without energy. Now it's official - researchers have just reported in detail how to make and measure these bizarre crystals. And two independent teams of scientists claim they've actually created time crystals in the lab based off this blueprint, confirming the existence of an entirely new form of matter. The discovery might sound pretty abstract, but it heralds in a whole new era in physics - for decades we've been studying matter that's defined as being 'in equilibrium', such as metals and insulators. Alison Flood, writer on guardian.co.uk/books and former news editor of the Bookseller inform, "Researchers at Poland’s Institute of Nuclear Physics found complex ‘fractal’ patterning of sentences in literature, particularly in James Joyce’s Finnegans Wake, which resemble ‘ideal’ maths seen in nature." 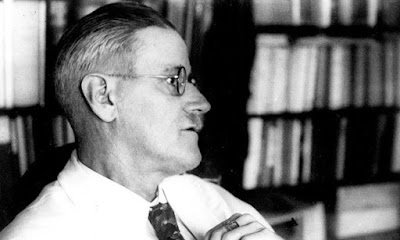 Capturing scientists’ imaginations ... James Joyce in Paris in 1937. James Joyce’s Finnegans Wake has been described as many things, from a masterpiece to unreadable nonsense. But it is also, according to scientists at the Institute of Nuclear Physics in Poland, almost indistinguishable in its structure from a purely mathematical multifractal. The academics put more than 100 works of world literature, by authors from Charles Dickens to Shakespeare, Alexandre Dumas, Thomas Mann, Umberto Eco and Samuel Beckett, through a detailed statistical analysis. Looking at sentence lengths and how they varied, they found that in an “overwhelming majority” of the studied texts, the correlations in variations of sentence length were governed by the dynamics of a cascade – meaning that their construction is a fractal: a mathematical object in which each fragment, when expanded, has a structure resembling the whole. Fractals are used in science to model structures that contain re-occurring patterns, including snowflakes and galaxies. “All of the examined works showed self-similarity in terms of organisation of the lengths of sentences. Some were more expressive – here The Ambassadors by Henry James stood out – others to far less of an extreme, as in the case of the French 17th-century romance Artamene ou le Grand Cyrus. However, correlations were evident, and therefore these texts were the construction of a fractal,” said Dr Paweł Oświęcimka from the Institute of Nuclear Physics of the Polish Academy of Sciences, one of the authors of the new paper Quantifying Origin and Character of Long-range Correlations in Narrative Texts. Some works, however, were more mathematically complex than others, with stream-of-consciousness narratives the most complex, comparable to multifractals, or fractals of fractals. 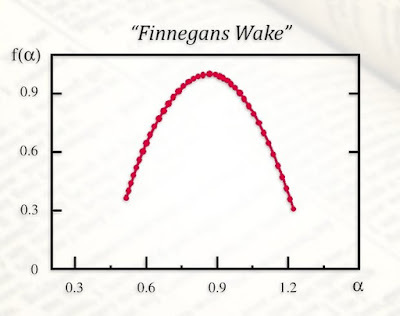 Finnegans Wake, the scientists found, was the most complex of all. “The absolute record in terms of multifractality turned out to be Finnegans Wake by James Joyce. The results of our analysis of this text are virtually indistinguishable from ideal, purely mathematical multifractals,” said Professor Stanisław Drożdż, another author of the paper, which has just been published in the computer science journal Information Sciences. 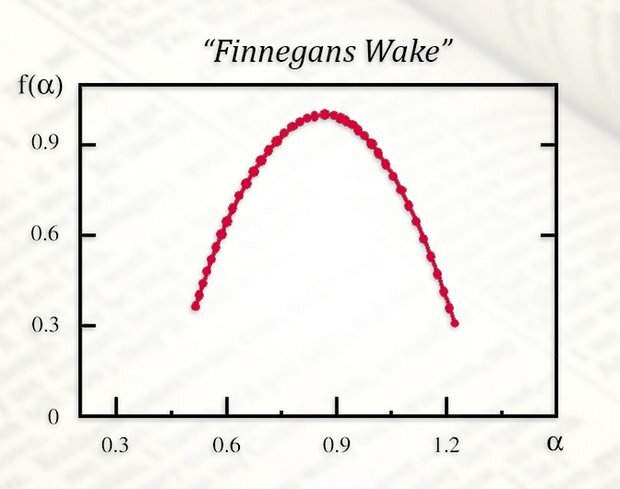 Multifractal analysis of Finnegans Wake by James Joyce: the graph shape is virtually indistinguishable from the results for purely mathematical multifractals. The horizontal axis represents the degree of singularity, while the vertical axis shows the spectrum of singularity. Joyce himself, reported to have said he wrote Finnegans Wake “to keep the critics busy for 300 years”, might have predicted this. In a letter about the novel, Work in Progess as he then knew it, he told Harriet Weaver: “I am really one of the greatest engineers, if not the greatest, in the world besides being a musicmaker, philosophist and heaps of other things. ‘A fitting heir’ … Haruki Murakami outside Hans Christian Andersen’s house in Odense, Denmark. 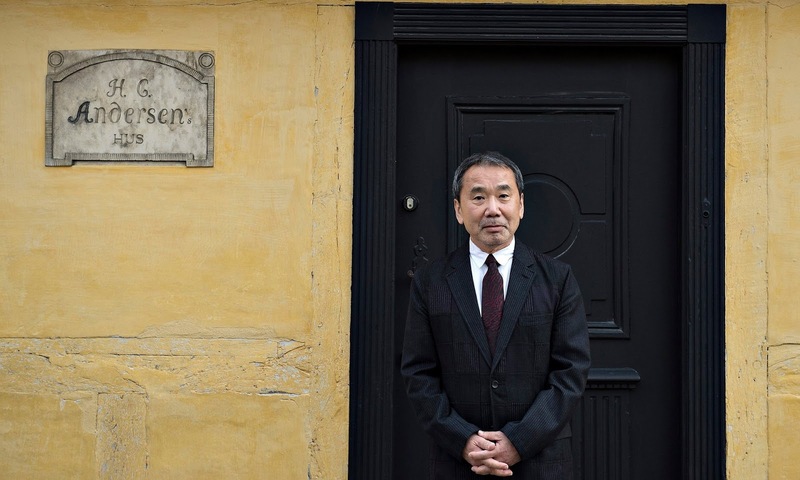 Haruki Murakami cautions against excluding outsiders, says Alison Flood. "Celebrated novelist’s acceptance of the Hans Christian Andersen literary award led to a speech on confronting the inner darkness of people, society and nations"
"UIC is ranked eighth in the 2017 U.S. News & World Report Best Online Programs in bachelor’s degrees." 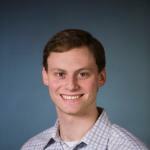 according to Sam Hostettler, Associate Director, News Bureau. 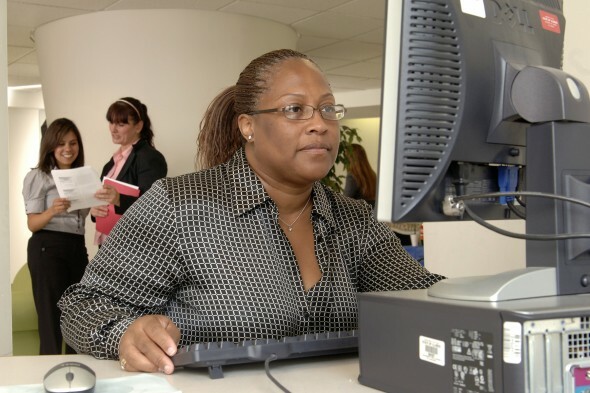 UIC offers three online bachelor’s degree programs, in health information management, business administration and an RN to Bachelor of Science in Nursing. UIC offers three online bachelor’s degree programs, in health information management, business administration and an RN to Bachelor of Science in Nursing. Online learning combines the high quality academic rigor of UIC with the flexibility of any-time access to learning, said Gayla Stoner, executive director of UIC Extended Campus. For a fourth consecutive year, U.S. News has also ranked UIC’s online bachelor’s programs first in the nation in the category of student engagement. UIC’s bachelor’s in business administration program provides students with a well-rounded background in all aspects of operating a business, while establishing a foundation for lifelong learning. “Our accredited online courses are developed and taught by dedicated faculty who strive to deliver business knowledge, skills and applications to their students to prepare them for rewarding careers in a variety of industries,” said Angela Prazza Winters, assistant dean of business student services. The students, Winters said, have access to a fully staffed Business Career Center where they can participate in career preparation workshops, visit career fairs and earn internships and placement upon graduation. 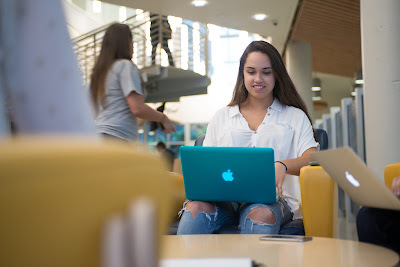 The bachelor’s in health information management program prepares students with an in-depth understanding of cutting-edge practices and methodologies, while applying real-world experiences to make a seamless transition from degree to profession. Paul Vincent, has worked at the OCA since 2004 writes, "So you've decided to become more creative. Congratulations. Now where do you start? Obviously, you could try the "Batman/Bruce Wayne" route, in which you disappear from your everyday life, scale a remote mountain and learn mystical arts for years before returning home a changed person." University might seem like a pretty large commitment for many, but there are several distance learning courses that allow students to get feedback, interact with fellow learners, and push themselves without giving up their jobs. A distance learning course can be much more affordable than full-time study. Many offer the opportunity to work in your own time, but still ask you to take the course seriously – which means you've got to make time to study and practice. If you're the sort of person that finds themselves pushing their creative ambitions further and further down their to-do list, this could give you the extra push to get going. It's also a great opportunity to get one-to-one time with expert tutors, and meet people with similar interests. The Open College of the Arts, for example, offers a range of creative courses in subjects such as creative writing, drawing, graphic design, photography, music, painting and sculpture. The Open College of the Arts offers distance-learning courses in subjects such as fine art, photography, music, graphic design, creative writing, sculpture and film. It is part of the University for the Creative Arts. To find out more, go to www.oca.ac.uk. Jordan Friedman, online education editor at U.S. News inform, "Programs might offer course demos or classes to determine whether online learning is a fit." Experts say prospective students should sample a program to see if they have the motivation to complete online courses. When Lisa Dowdell heard about the for-profit, online Capella University through her daughter, a student, she was excited about the prospect of earning a bachelor's degree on her own schedule. But Dowdell, a web application developer living in the Chicago suburbs, wasn't sure whether the online format was suitable for her. Fortunately for Dowdell, Capella offers a free weeklong sample course to give students a taste of what to expect. "I said, 'OK, let me just take this so I could see what I'm in for,'" says the 51-year-old information technology student. Taking the sample course, she says, would also tell her whether she would be able to successfully manage her time. Dowdell completed assignments and engaged virtually with classmates and faculty, she says. Ultimately, she decided online learning worked for her. For prospective online students, sampling an online degree program is key to determine whether the format is right for them and choose a program based on structure and flexibility, many experts say. These opportunities are often available on a program's website or by contacting an admissions or enrollment counselor. "I think sometimes, perceptions of students don't necessarily align with the actual reality of what a program is," says Vickie Cook, director of the Center for Online Learning, Research and Service at the University of Illinois—Springfield. Online learning requires self-motivation and the ability to communicate with peers and instructors from a distance, experts say. And each program is created differently. Here are six ways prospective online students might sample online degree programs, depending on what's available at different schools.